This volunteer social work project helps children and adults in orphanages in Cochabamba, Bolivia. You can work with orphans who come from abused backgrounds and those with special needs. This can be emotionally straining but you will be providing an important community service. This project is perfect for professionals considering voluntary work abroad or social workers on a career break. 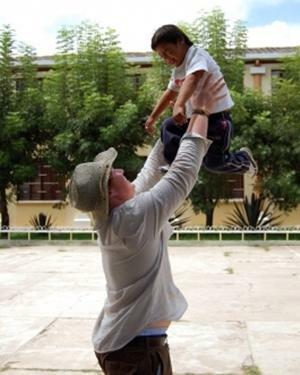 How can volunteer social workers help in Bolivia? Working with children of all ages to make sure that they are bathed, fed and clothed etc. How to deal with illness and disability. New activities to perform with the children. Discussing ways of changing or improving working methods at the orphanage. Producing assessments of children at orphanages. Conducting interviews with relatives or carers to assess and review their situation. This is only a brief overview of the options available because we work with a large variety of institutions. You might work in an orphanage which treats children and adults aged 8-35 with special needs. Another option would be an orphanage for young children and teenagers in Cochabamaba. Here you will work with orphans who have suffered deprived and potentially abusive upbringings. You will be expected to work Monday to Friday for around 4-6 hours per day. This may involve working with more than one institution. You will agree the exact work schedule with your project supervisor on your first day in Bolivia. Your supervisor has over 15 years’ experience of working in special needs care so he will be able to provide help and advice during your project. This voluntary work abroad will allow you to gain experience of working with a variety of children and adults. You will get to see how social work is carried out in the developing world and the challenges that your colleagues face. You will work alongside experienced professionals with whom you can share ideas. Your time in Bolivia will be spent in local communities, learning about a different culture and way of life. The staff and children will want to hear about your life back home and your family and friends. We call this ‘cultural exchange’ and we think it helps our volunteers gain a new perspective on life. In order to communicate efficiently with the local staff and have an impact on the community you are working with, you will need to have a good intermediate to high level of Spanish. If you are interested in this project but don’t have the relevant experience, then please read about our regular Care projects in Bolivia.